Okay so "Outdoor Boys" is a YouTube channel created by Luke (last name unknown) and frequently featuring his sons and his wife. 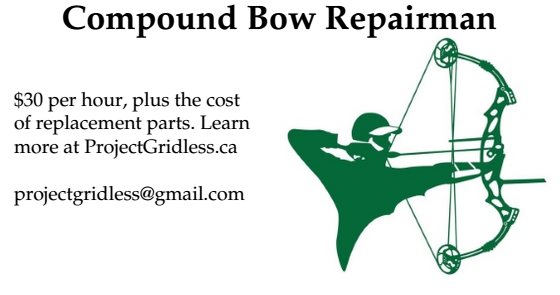 He does a variety of videos, everything from restoring old axes, making a hunting spear, and other topics Off Gridders like myself would enjoy - often with his kids featuring in the video, which as a father myself, I can appreciate. The Outdoor Boys video channel currently has over 84,000 subscribers, over 13.5 million views so far, and only 77 videos posted during the last 3 years. So he is only posting roughly 1 video every 2 weeks, and yet clearly knows how to market it. Having cute kids helps I think. The one video he made toy swords and shields for two of his boys, and I took one look at that video and said "Yup, that is on the To Do List..."
In the following video posted back in February Luke shows how to turn an old farriers rasp into a knife - a knife that doubles as a rasp and is very useful for starting a fire. So definitely a good video for survivalists to watch. Also good for anyone who likes to recycle things or DIY projects... and its Educational! So woot! At the end of the video he talks about having a contest for subscribers (it is now April 9th and the contest has been over and done with for over a month), but the manner of the contest is what got me thinking. People have to subscribe to his YouTube Channel. Leave a comment on the video or any of his other videos. People have to share the video to a social media platform such as Facebook, Twitter, etc. And the prize? A $70 USD DeWalt Angle Grinder. So why is this marketing genius? 10 new subscribers, which boosts his visibility on YouTube algorithms. 10 comments on his videos, which also boosts his visibility on YouTube algorithms. 10 "advertising posts" on other people's social media platforms, and a variety of them, which boosts his visibility on both Google, YouTube, and directly brings in extra viewers. And the limited time span ensures he can announce the winner a week later, and other people who view it later (like I did) are more likely to subscribe to his channel both for the great content, but also for the off-chance of being included in a future contest for some other item of value. Meanwhile someone like myself, who has a background in real estate marketing, looks at this video and thinks: "Wow. That is genius." And here is the math as to why it is genius. Yes, it costs him $70 USD + shipping for the contest (although if he orders via Amazon he can probably get free shipping). But the cost of getting 1 person to subscribe, comment and post a free advert on social media has a roughly $30 USD value. I know this because, like I mentioned before, I used to work in marketing. So if just 3 people follow the instructions fully Luke just got $90 USD worth of advertising for $70. If 10 people follow the instructions, he just got $300 USD worth of advertising value for $70. And if more people follow the instructions, well then clearly he is getting his monies worth out of these contests. Did Luke come up with that method of advertising? Probably not. I have seen similar contests on other YouTube Channels, although usually people just have a policy of Subscribe OR Like OR Comment OR Share... requiring three or four of those kind of deters people from doing all of them, but doing it this way gets the best value. Well, wouldn't this be cheaper if he offered a smaller prize, like a pocket knife or something that only costs $10? Well, yes, but the psychology of it is that people are more likely to follow the more complex instructions of doing all 3 tasks if the prize is actually a lot bigger and more valuable. Subscribes, comments and likes only have a small value to the marketeer. What they really want is the free advertising on the social media platforms and other internet websites (kind of what I am doing right now, except I am doing this for free because I find marketing fascinating). So imagine if you did a contest for a $10 knife or whatever, and maybe only 2 people actually follow the instructions. Or just one. So that would be a $30 to $60 value for the $10 cost. So a $3 to $6 per dollar expended value. But if you go for a bigger ticket item, like a tool that is worth $50 you might get 10 or 20 subscribers. Thus you get $300 to $600 value for $50. So that is a $6 to $12 per dollar expended value. There are ways he could improve upon this however. More videos mentioning the contest, more people following the instructions, more value per dollar. 2. He can make the prize himself. So for example when he made the swords/shields for his boys, he could have made an extra set as a contest prize. This cuts down on the financial cost of the prize and only adds the physical time and materials to make the item. 3. Sometimes instead of a plain contest he could make something that is also for sale. eg. Years ago I bought some antler for carving archery thumb rings, and thanks to the manner I cut them I had enough antler to make 6 rings. I only need 1 for myself obviously, so the other 5 I could sell or use for contests to promote my YouTube Channel. Thumb Rings on Amazon sell for $10 for a cheap leather one or $32 for a brass one. Nobody on Amazon sells antler thumb rings however, so as exotic materials go it should be worth even more. 4. The prize item could be donated by a company seeking advertising. So for example DeWalt very likely gave that angle grinder for free as a contest item. For Luke this means zero overhead for the cost of prizes and lots of value since it only takes the time to make that aspect of the video. So wait... how does Luke make money by making these videos? 1. Makers of original content can make money off advertising, typically played before the start of the video by YouTube. Every time an advert is aired before a video, Luke gets paid a share of whatever the company is paying for the advertising. 2. Companies looking for product placement / reviews / etc will often contact popular YouTube video producers with free stuff and offering $$$. The real trick however is to become popular in the first place. 3. If the producer also has a product or service that they can sell, that is an extra way for them to be adding income. So what about Project Gridless's YouTube Channel? Well it is at https://www.youtube.com/user/ProjectGridless/ and we have a whopping 40 subscribers and I very rarely even post videos. So far... 20 videos, often on vastly different topics. Most of what is on there is Playlists of videos which were posted by other people. So 40 subscribers for zero videos is actually pretty good in my opinion. One video per week, or one every two weeks. I could interview people who own off grid homes, do videos about bowmaking or woodworking, go foraging in the woods... any number of topics related to the off grid lifestyle.